Built for the city, perfect for anywhere. 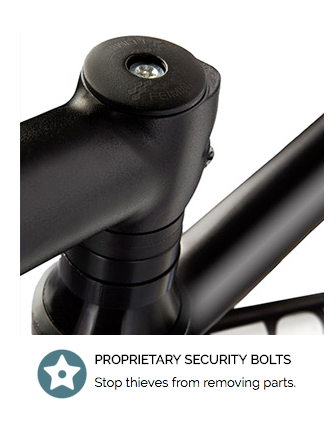 The Invincible features custom security bolts that keep your bike and parts protected from thieves. A rust-proof frame and rust-resistant chain, paired with puncture-resistant tires, make this a no-hassle bike. The Invincible comes 80% assembled, and you do the rest with the help of our awesome online assembly instructions. Your custom security tools are included, see HERE for additional tools needed for assembly. Please double check the sizing guide! * International orders may be subject to duties and customs fees. The purchaser is responsible for these fees.